A campervan is an amazing type of automobile. It allows you to travel anywhere you want without ever worrying about finding lodging for the night. Since it is perfect for road trips and camping trips, you can simply take your campervan up and down the coast of Tasmania, only having to stop for fuel and food. Everything else that you need can be found in the campervan. Because campervans are big, you can store as much clothing and food as you need to last you until the end of your trip. The thought of owning your own campervan might seem appealing. 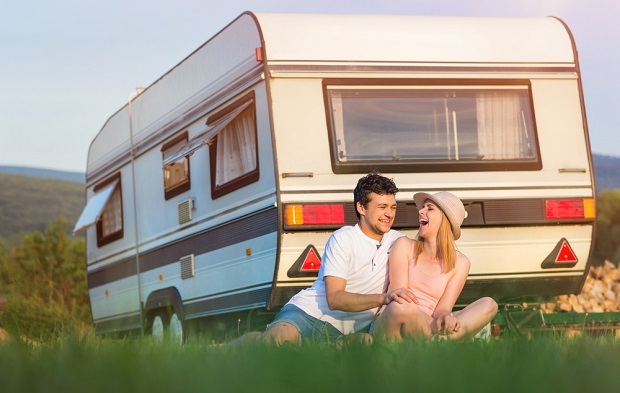 There are definitely a few benefits associated with purchasing your own campervan; however, there are also a lot of benefits associated with hiring a campervan instead of purchasing your own. Owning a campervan can be beneficial for a few reasons. Once you own your campervan, for example, you’ll never have to pay to use it. Your only costs will be for fuel and maintenance on the vehicle. If you’re a frequent camper or love to go on road trips, owning a campervan could be a great option for you. However, owning a campervan can also come with a few risks. For example, suppose you purchase a campervan that runs fine for five years but then the warranty runs out and the campervan breaks down during the middle of one of your road trips. Repair costs on campervan engines are not cheap and there’s no way that you’ll be able to avoid paying for repairs since you are the sole owner of the campervan. There are several benefits associated with hiring a campervan instead of purchasing one. For example, if you only go camping once or twice a year, you’ll only need the campervan for a handful of days each year. Owning a campervan only to use it for a few days is a waste of money. When you hire a campervan, you don’t have to worry about maintenance either. If your hired campervan breaks down during your road trip, you will not be responsible for getting it repaired because you won’t own it. All that you would need to do is contact the campervan hire company and request repairs or a towing service so that you could either go home or carry on with your road trip. If you go on several camping trips every year, it may be cheaper for you to purchase your campervan. Purchasing a campervan is only worth it if you’re planning on using it all the time. If you’re not planning on using your campervan all the time, simply hire it instead. It’s not hard to find cheap campervan hire in Tasmania. While some people might find it beneficial to purchase their own campervans, others might find it more beneficial to hire their campervans. If you’re only planning on using a campervan for a few days each year, you should not purchase one. Instead, you should reach out to your local campervan hire company and hire an affordable model from them.